Stanley and Katrina: WOW: Katrina wishes to leave an amazing LEGACY from her work with The Wise Cat Council. 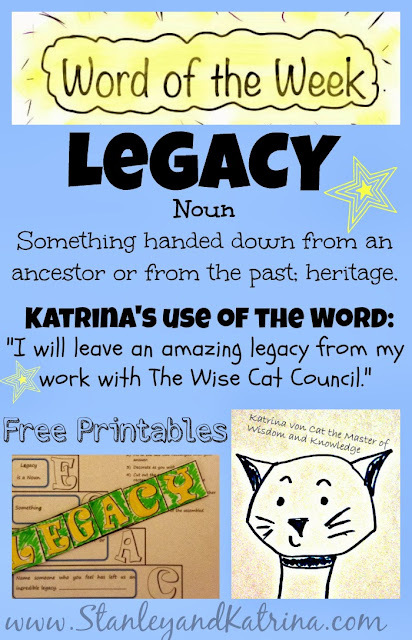 WOW: Katrina wishes to leave an amazing LEGACY from her work with The Wise Cat Council. You may listen to the live official WOW announcement broadcast each Monday at 7:20AM on WEEU 830AM from "The voice of Berks County and Beyond." Click here to view a picture of Sarah, who will be reciting the word, "legacy," on Monday. Links to broadcasts may be found on the Muhlenberg School District website. Click here to go there. 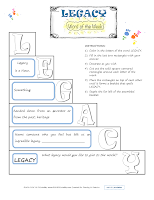 Now tell us, how will you use the word LEGACY this week? Have you seen it used anywhere? Is your school using these words? What fun activities do you have for the word? 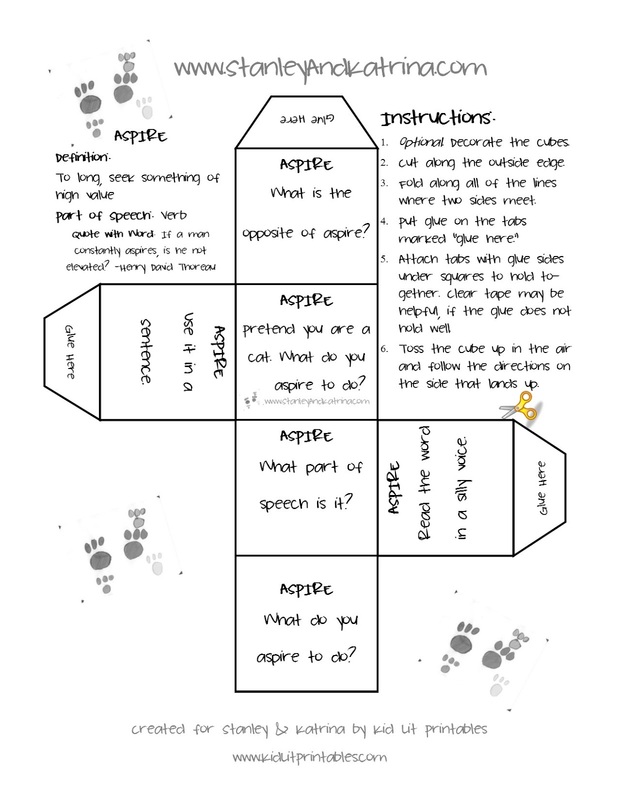 I want to know and so do my friends - please share your creations and let us know if you are using our printables - that makes us happy!